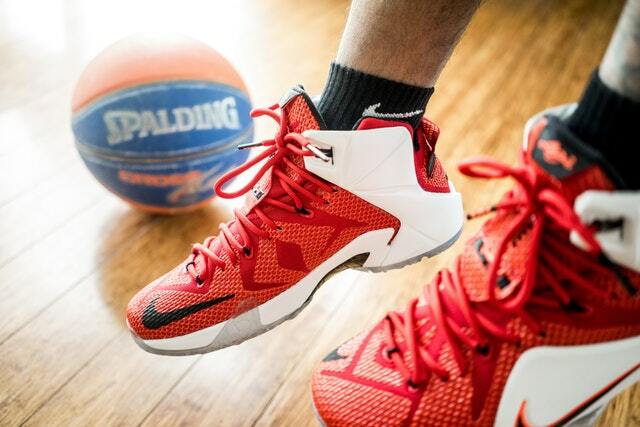 If you’re playing basketball regularly, you need the right shoes. Basketball shoes are specifically designed for use on the court, and they’re able to meet the impact absorption needs of players. Additional support around key areas, such as the ankle, is also provided. 5 Are Low Top Basketball Shoes a Good Choice? Size. You need the proper size shoe. Manufacturers often run too big or too small, and this is an issue for many people. Measure your foot, try the shoe on and return any shoe that doesn’t provide enough toe space or width for your foot. Comfort. Uncomfortable basketball shoes make playing the game boring. Opt for comfort, with the most important areas being the arch and heel of your foot. Rubber sole. The rubber sole of the shoe is obviously important. Soft rubber is good for indoor use and hard rubber is good for outdoor use. Lack of durable rubber on pavement will result in the shoes wearing very quickly. Traction. The shoe’s traction is of the utmost importance. Shoes that lack proper traction will lead to a loss in performance and also lead to potential ankle injuries. Support. We’ll go into support a lot in this article, but ankle injuries are the most common injury in basketball. Why? Lack of ankle support. You need a shoe that offers the level of support you need to maximize your game. I recommend doing a lot of research on the shoe you plan on buying and not being afraid to return them if needed. You’ll find indoor and outdoor basketball shoes, and there is a difference. The main difference you’re going to notice isn’t going to be with support or weight; the difference is in the rubber. Indoor shoes need soft rubber. A lot of experts agree that the softer the rubber, the better for indoor play. You can use a quarter to rub on the bottom of the shoe to see the difference in the type of rubber offered. Indoor shoes won’t provide the traction you need for outdoor use. Outdoor shoes need the extra opposite. When you’re playing outdoors, you need rubber that is durable and can provide you with the utmost in traction. The rubber on outdoor shoes still has some slippage, but the rule of thumb is that the outdoor shoe won’t have rubber that moves much when testing with a quarter on the bottom. Outdoor shoes will also have a higher level of ventilation. Mesh material is often incorporated because it’s often much hotter when playing outdoor ball. Again, the outdoor and indoor shoes are not much different. There are “combo” shoes, as I like to call them, that will be rated for indoor and outdoor play. If you have a younger kid, these shoes might suffice. Otherwise, for serious play, you need to choose a shoe specifically designed for indoor or outdoor use respectively. Livestrong has a great article on how to make your basketball shoes have better grip. If you’re going to buy basketball shoes on a budget, there are a few things you want to keep in mind so that you still get decent shoes. Of course, you’ll want to make a budget prior to even looking for shoes. Choose last year’s shoes. The newer model shoes are always more expensive. For example, the Kyrie 3 is going to be a lot cheaper when the Kyrie 4 hits the market. There’s nothing wrong with buying an older shoe to save some money. Universal shoes. Indoor shoes and outdoor shoes exist – we just talked about them. But if you’re buying shoes for casual play or a kid just testing the water on the court, buy a shoe that can be used indoors or outdoors for best results. You can always buy a specialized shoe later on if needed. Cheap isn’t always bad. Cheap shoes aren’t necessarily bad shoes. There are a lot of decent, cheap shoes available. If you go this route, take a glance at the technology incorporated into the shoe’s design. Sales. According to The Balance, the best time of year to buy athletic shoes is in January. This is the month when after-Christmas sales are going on and old inventory is highly discounted. Reviews. You’ll also want to read reviews to try and determine how well-made the shoes are. You can often find great budget shoes that are very durable, too. Kids grow a lot. It’s great to want to give your kids the best of the best, but if your kid is going to grow out of their shoes within months, you probably don’t want to spend the money on new Jordan’s. I recommend, even for early teens, to buy them less expensive shoes that you don’t mind replacing. Sizing is key. You need to have the right size shoe from the start. I recommend having a professional measure your foot to know the right size for your child. If the toes are rubbing or the width is too small, the shoe will cause blisters, calluses and a slew of other issues. WikiHow has a great guide on measuring your shoes. Supportive needs. Does your kid have weak ankles? If so, you’ll need to find shoes that can accommodate him or her. There are shoes that offer added support for the ankles as well as impact absorption that will take stress off the ankle joint and knees to some extent. If your child has weaker ankles, low top shoes probably aren’t the best choice. You can also do some research on the position that your kid will be playing and buy shoes that the professionals wear or recommend. As a last case resort, you can always ask your child’s coach what shoe they recommend. Ankle support is key on the basketball court. When it comes to wear-and-tear, a lot of players will note that their ankles are what give them the most problems. Good ankle support often starts with the style of the show. A good rule of thumb is that the higher the shoe, the better support it gives. I recommend taking a test run with the shoes if you’re not sure about their support. Even when ordering on Amazon, you can try the shoes as long as you don’t wear them down. I like to try them inside my house to judge how supportive they are without damaging the shoe. If you go back to the indoor / outdoor section, you’ll notice we mention slippage. When you have slippage, your ankle will take a brunt of the force. Ideally, you’ll choose a shoe that has more than enough traction to provide your ankle with the support it needs on the court. Finally, do your research on the shoe you’re buying. You’ll find a lot of companies, such as Nike, who has the Air Jordan XXXI that has incorporated flywire cable into the shoe’s design. This cable keeps the ankle locked in so that you have more general support while not losing any of your range of motion in the process. It can be difficult to narrow down a particular shoe for a specific position. Everyone on the court has the same basic needs, and while guards need to be a little quicker on the transition and with their response, they have shoes very similar to other positions. What a lot of people choose to do, and it may seem like the easy way out, is choose to pick shoes that are endorsed by guards. You’ll find Stephen Curry has his own shoes, Kyrie Irving has his own shoes, Kobe has his own shoes. Yes, these players are endorsing these shoes because they’re getting paid, but a lot of these players have also helped design these shoes. So, they have made their needs known on the court and actually have helped designed shoes to excel for their position as a guard. Traction needs to be a key focus of the shoe and will allow for faster transitioning. Support needs vary. Some guards like high top shoes, while others like low profile. It’s difficult to choose what your support needs may be. Responsive designs are becoming a hot trend, and these designs mean that the shoe material will react to the impact of jumping and playing. Ultimately, responsive design is something all players want to consider because it allows for superb shock absorption when playing. Are Low Top Basketball Shoes a Good Choice? You either love low top shoes, or you hate them. Low top shoes were once a less popular choice, but they’re now coming back into fashion. Why? A few reasons really. First, the high-top shoes were seen as “old school,” and people preferred the less bulky look. Low top shoes can be up to 20% lighter than a comparable high-top model. Lighter weight translates to faster movement and transitions on the court. Players tend to have less fatigue when they wear low top shoes. The problem with low top shoes is that they don’t provide the same level of support that high top shoes offered. High tops come up around the ankle, providing added support and protection around key ankle areas. 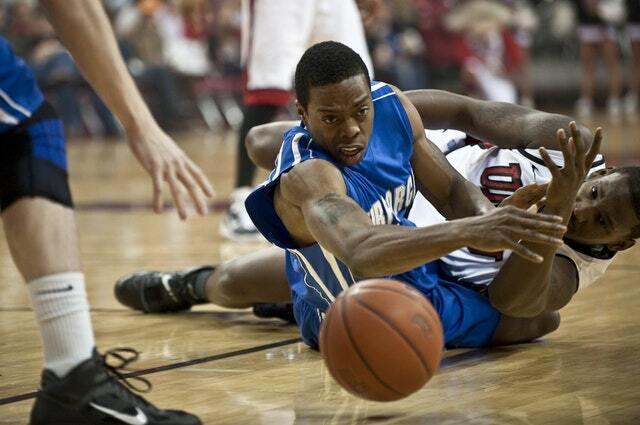 Ankle injuries are the most common type of injury for basketball players. So, if you plan on wearing low top basketball shoes, you’re going to be at a higher risk of suffering from an ankle injury. Unfortunately, there’s no way around the high-top shoe offering more support. High top shoes provide added cushioning inside of the shoe to support the ankle and protection against damage from sudden turning. But then there is also the research that shows around the same percentage of ankle injuries no matter which shoe type is worn. The severity of the injuries, however, tend to be more intense when wearing low top shoes versus high top shoes. You’ll find plenty of players playing at a professional level wearing both shoe types. James Harden plays with flat feet, and it wasn’t until he designed his own shoe that he was able to correct all of his issues on the court. The good news is that flat feet isn’t a new problem, so you’ll see a lot of shoes finally offering support for them. Players that suffer with flat feet say that it’s painful to do anything athletic. So, what can you do to overcome the issue of flat feet? People with low arches can look for shoes that support a low arch. What these shoes do is spread the weight throughout your feet into your legs. Your feet will be able to maintain proper stability and flexibility, but the muscle strain and pain will be far less significant. Specially designed soles offer more support for flat feet with an arch correction. The heels of the shoe should be slightly raised, too. The raise helps you when pivoting and is a key feature for both offense and defense players. The raised heel allows for better weight-bearing without any undue stress. Any shoe that offers arch support is a bonus, and if you can find a shoe that is designed for flat feet, that’s even better. You’ll also want to consider the tips above, but the key most important thing to consider as a flat foot player is definitely your foot’s arch.